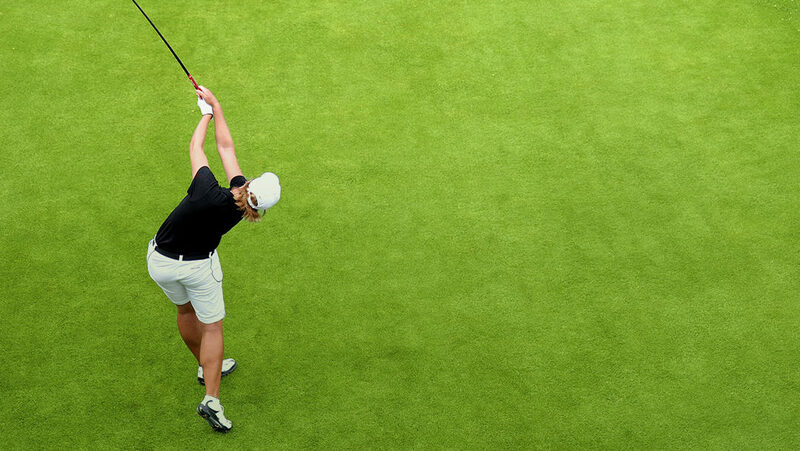 Golf has been traditionally thought of as a men’s sport, but surprisingly it’s a sport with an equal number of men and women playing the game. Legend has it that the first female golfer was Mary Queen of Scots, in the 16th century. She called her golf assistants cadets, or caddys. Today women not only continue to golf regularly, they also have their own professional golf association, own golf clubs, courses and golf gear. Ladies golf didn’t make it to the United States until 1891, at which time the New York course, Shinnecock Hills Golf Club, opened a special nine-hole course just for women. By 1900 women were playing regularly in their own competitions, but the Women’s Tournament Committee wasn’t formed until 1917. In 1932 the Curtis Cup commenced, by having ladies from USA, Great Britain and Ireland play for the cup. The USA ladies have the best overall record, and have only lost eight times in 70 years. In 1934, the Ladies Professional Golf Association (LPGA) was formed, and is still a presence in the golf world today. Ladies golf has been instrumental in getting women outdoors and participating in a sport that can keep you in great shape. The average age of the lady golfer has gone down, with many professional lady golfers starting in their teens. This younger generation of lady golfers has helped to change how lady’s golf is seen in the golfing industry. Golf equipment, golf shoes and golf clothing have become much more stylish over time. Women’s golf clothes are sharper, more fashionable and are a successful industry on it’s own. Getting young girls started golfing is a great way to teach hard work, dedication and perseverance. Golf is hard, and takes years of practice. With golf becoming more popular with the younger generation, it is important to find reasons why they will stick with the game. Since golf has become more “cool,” with players like Tiger Woods and Michelle Wie, it is quite easy to get the young kids to start lessons. But keeping kids interested in the game will take more than stylish clothes, shoes and advertising. One way to make golf a more interesting game to young girls is to make it social. Girls, and even older females, are inherently social creatures. So the more socially inviting you can make the game-the more likely they are try it and stick with it. Find a group of girls that want to take golf lessons together. Take pictures, post them to social media, remind them how much fun they had golfing with their friends. Have golf parties and host your own small tournaments. Make the game fun by having a birthday party or graduation party at a golf course. Give out trophies for best drive, best ball, etc. Young kids love winning trophies and participating in competitions. Make sure that everyone is involved and having a good time, and remind him or her that this could be an annual event. At any age, golf is a great way to exercise, enjoy fun with friends, all while participating in the great outdoors. Lloyd Cohn is founder of Lady Classic Golf. See their wide selection of lady golf gloves and full range of golf equipment. Free shipping on most orders.